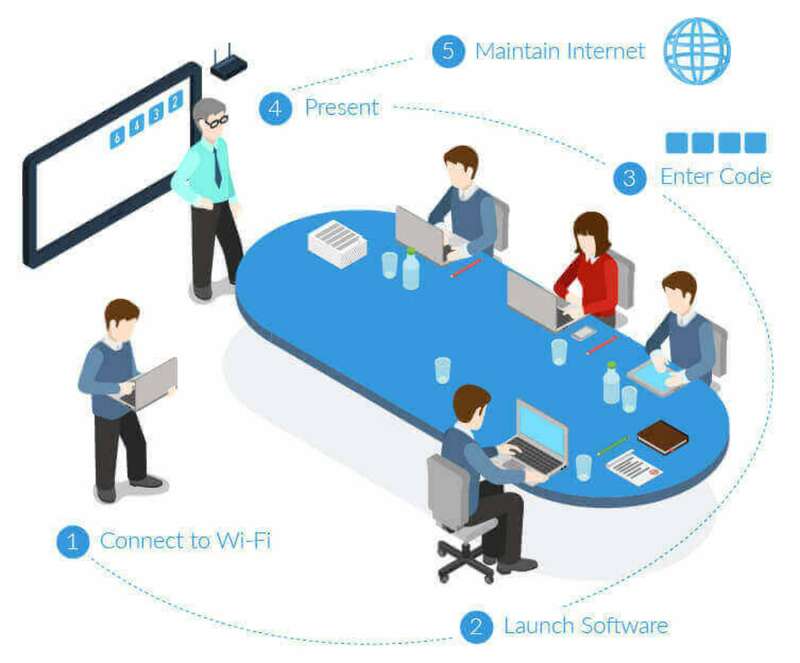 If you are looking to do wireless seamless presentations, then look no further .The WePresent connects to any type of display and enables you to do all your presentations wirelessly. No cables, No hassles. Supports Most PC Formats – Mac,IOS, Android and Windows OS. Internet Connection while doing presentations. 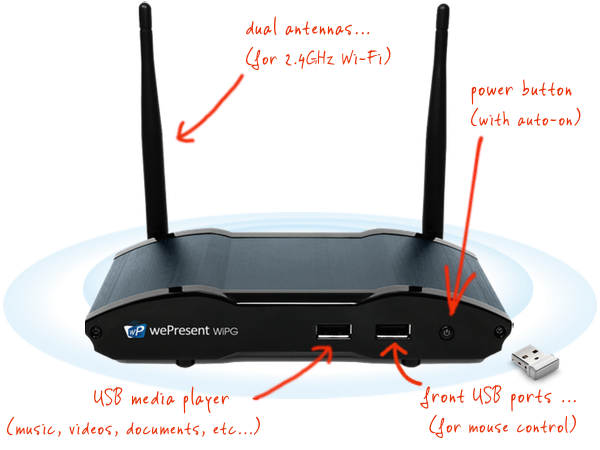 Download WePresent software directly from the wireless unit. On screen instructions are displayed assist first time users. Enter the on-screen 4 digit code and you will be connected. The on-screen code insures that other presenters in adjacent venues don’t mistakenly connect to the wrong display. I would recommend that this product is installed into all Boardrooms, Huddle rooms, Education, Training centres and Conference halls . It takes away the frustration of trying to find the correct cable to connect. Installation of all venues are a lot simpler with less cabling and cable ways to worry about .